Marriage into a Bengali family introduced me to a whole new food culture. Though I adored their huge selection of sweets, I found certain spices very challenging to accept. 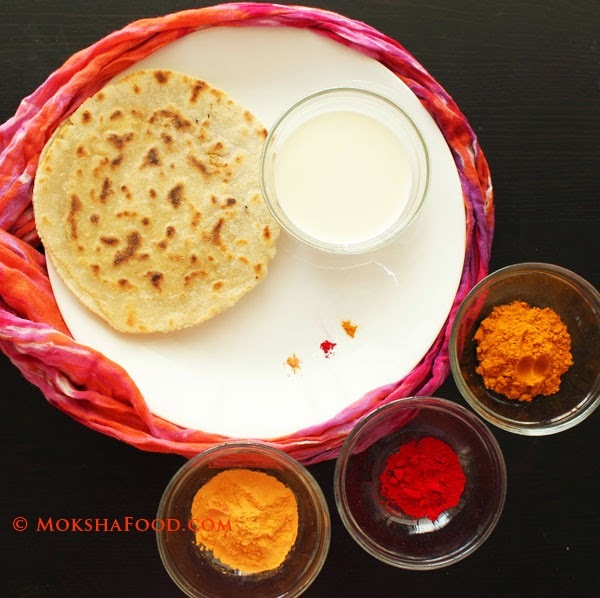 One of them was liberal use of mustard oil and mustard paste in various curries. Mustard lends a strong pungent flavor and aroma to foods. Its a unique taste which takes a while to acquire and enjoy. With time, I have learn to use and enjoy the flavor of mustard with some of my own variations. Addition of poppy seeds and coconut mellows the sharp mustard flavor making it more palatable. 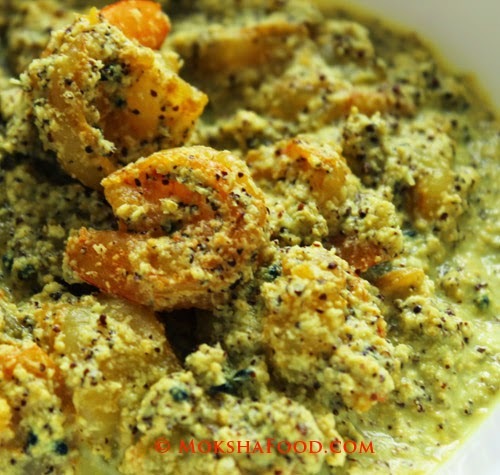 The below recipe is one such adaptation of the authentic recipe which is a win-win situation as it makes the food enjoyable for the whole family. Marinate the shrimps with turmeric and salt. Soak the mustard and poppy seeds with little water for about 10-15 mins. 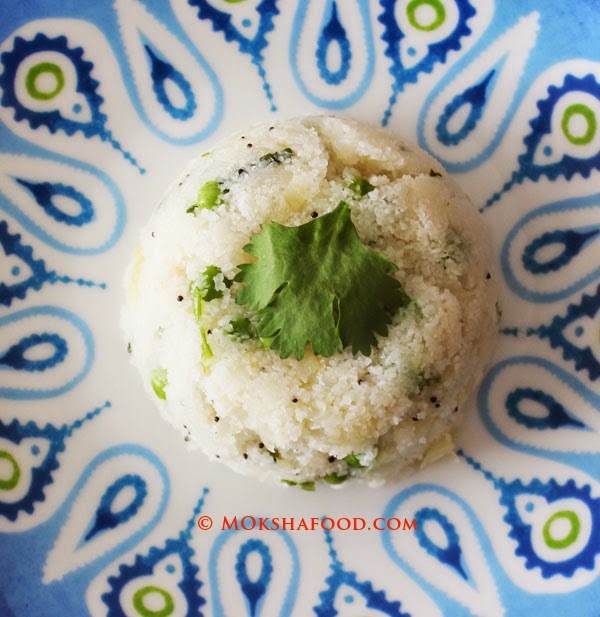 Grind together the mustard, poppy and coconut with little water into a paste. You will see small black flecks of mustard. Heat the mustard oil in a pan till smoking hot. 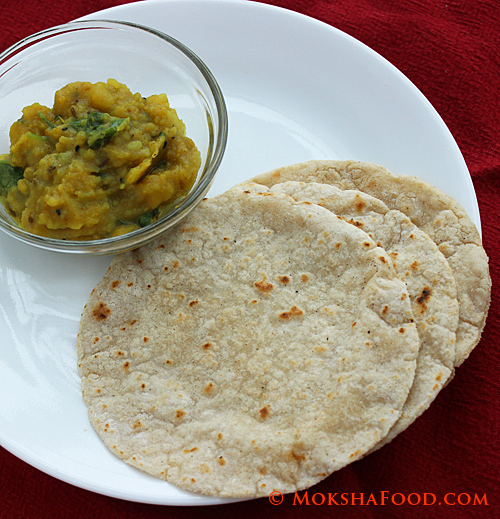 Reduce the heat and add kalo jeera. Let it sizzle. Add the shrimps and saute for a min. Now add the ground paste, salt and let this mixture cook for about 3 mins. Add the green chilies and further cook for 2 mins. 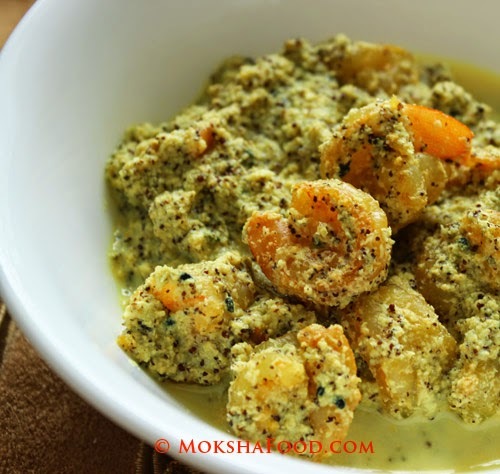 Serve this shrimp in mustard sauce with white rice and dal for an authentic Bengali meal.